The blesbok was hunted nearly to extinction because of its large numbers, but having been protected since the late 19th century, it has proliferated and today it is sufficiently numerous not to be classed as endangered. 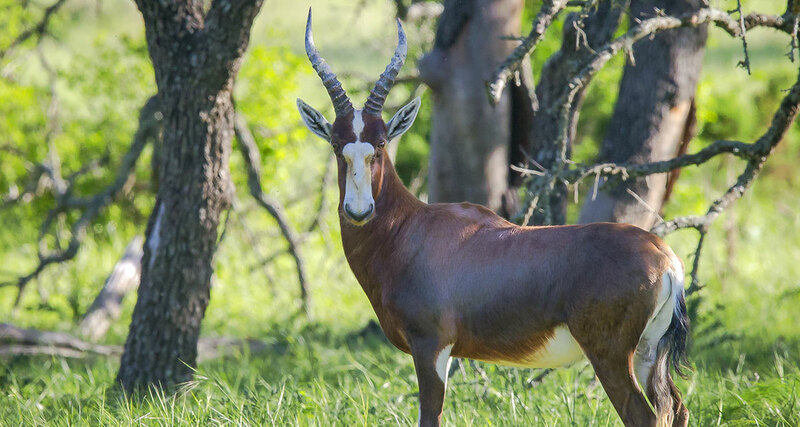 In modern times, this is largely because of the commercial value of the blesbok to private land owners, and also because it is one of the few medium-sized antelope that can be contained by normal stock fencing. At the start of the 21st century, blesbok numbers are stable, estimated to be around 240,000. However, 97% of them live outside reserves, and only 3% in national parks. They also are common in zoos, though in far smaller numbers.